Well, as soon as I walked in for the first time, I was hooked. A little background- I got into furniture because I started collecting vintage clothes while living just outside of San Francisco in Berkeley. Not like wear every day vintage clothes (though I loved those, too) but designer-sample-with-the-tags-still-on vintage clothes. My collection didn’t get too big (hey, you can’t wear them!) 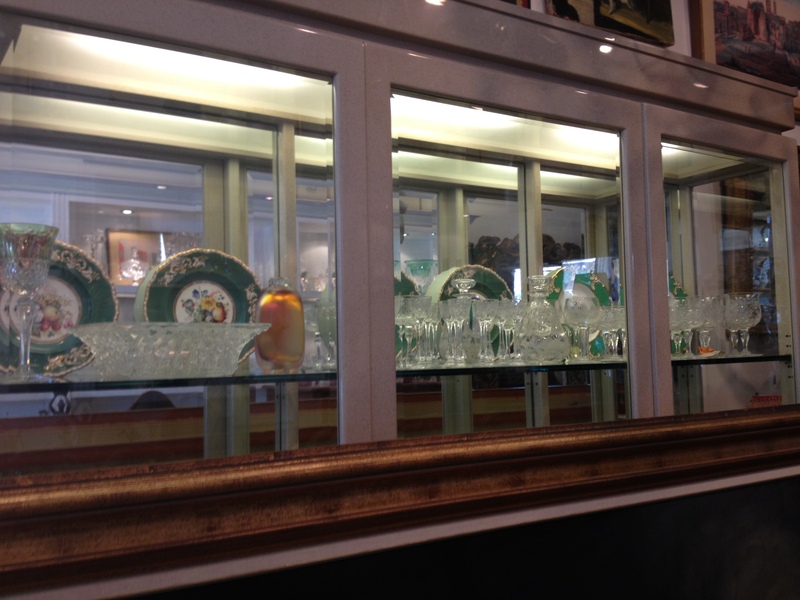 but I found myself gravitating to the purses, costume jewelry, and vintage china and crystal glasses in these boutiques. I bought a set of champagne glasses with matching cordial glasses, and my love of vintage home stuff has grown from there. This place made me feel like a kid in a candy store. 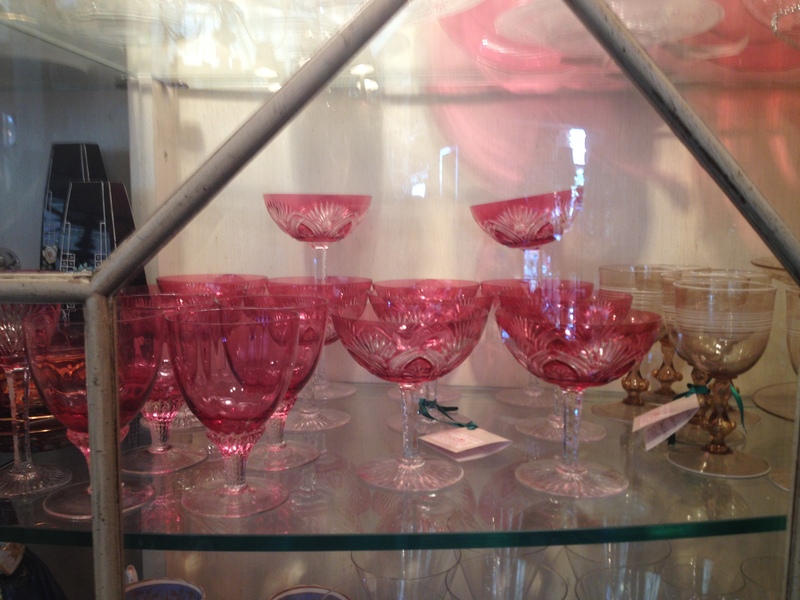 Their vintage crystal is in all kinds of colors, and they have whatever you might want. 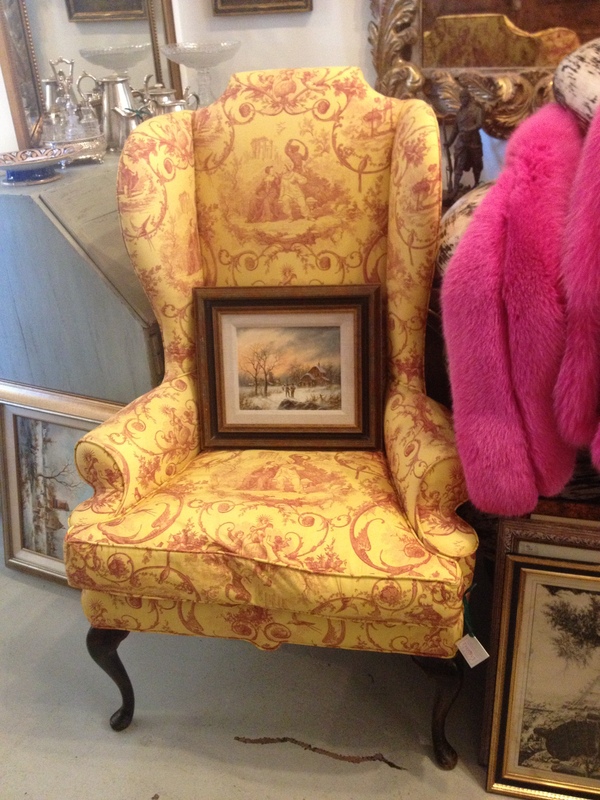 They have some beautiful chairs (you know about my “thing” for chairs), gorgeous light fixtures, a lot of art, and gilded EVERYTHING! Yes, it is expensive. Yes, it is out of a rehabbers price range, but it is worth blogging about because this is the kind of stuff you get inspiration from… or save up to buy if you want a real treat. 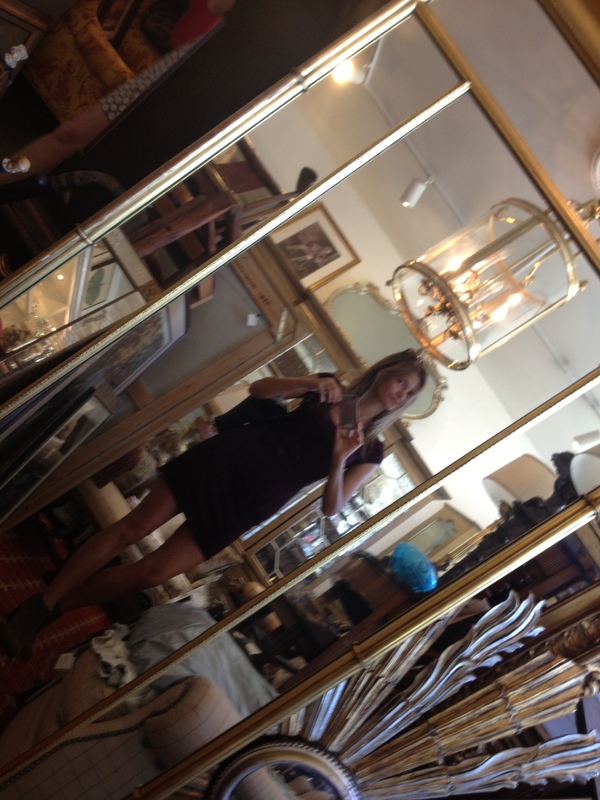 Having a little fun with a giant gilded mirror (yes, this would be in the closet of the dream house I’m designing in my imagination). Pink. Crystal. Need I say more? More crystal and some gorgeous china. 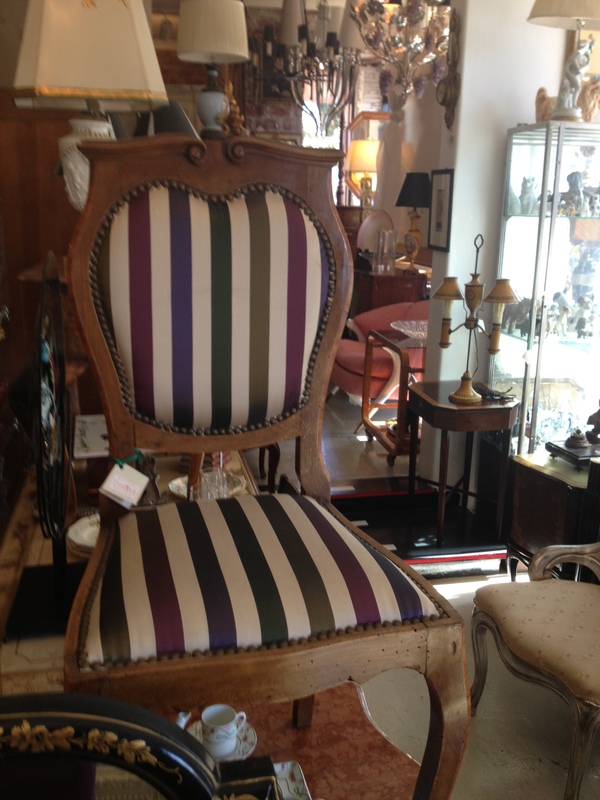 I love a wingback, and this fabric… perfection. Must have drooled over these chairs for at least five minutes before exploring the shop. They just feel elegant. Thrive Decor is located at 7427 Beverly Blvd in Los Angeles, CA. I’ll go check it out…haven’t been there before.